The X-Files is set to return to Fox early next year, and, appropriately for The X-Files, we still don’t know much about it other than that Joel McHale is going to be in an episode. Luckily, Gillian Anderson—who has thankfully made peace with always being Dana Scully—is happy to talk about the revived series, even if she can’t say anything too specific. 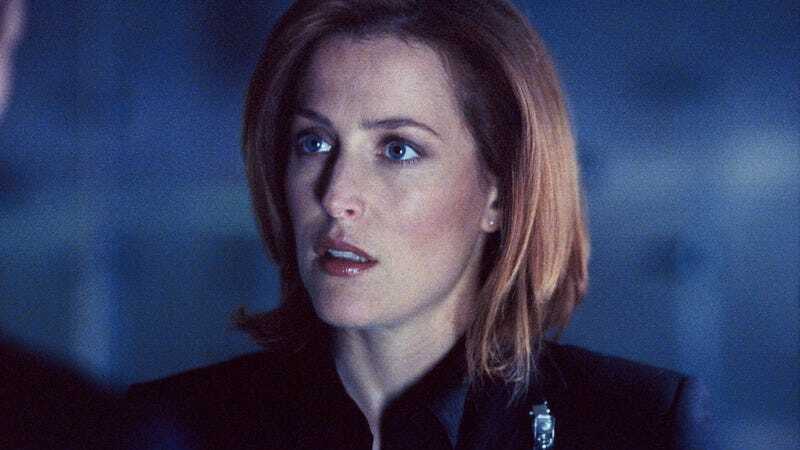 In an interview with TVLine, Anderson said that “it feels like it’s been a long time” since she played Scully, and that the character “felt further away” than she expected while working on the last X-Files movie. It sounds like she’s trying to say that it’s a bit strange getting back into Scully’s ill-fitting suits—and it’s hard to blame her, since the show ended 13 years ago. The new X-Files will premiere on Fox on January 24 of next year, at which point we can all start debating the merits of mythology vs. monsters-of-the-week. That’s basically what the internet was made for, right?